Bercy is a toy station on the eastern edge of Paris, used mostly for night trains to and from Italy. Sleek, new and painted blue and gray, ours was a toy train easily mistakable for an elongated tram. It had only four cars. The route it followed looked like a loss-leader among branch lines, with stops few mortals had heard of. 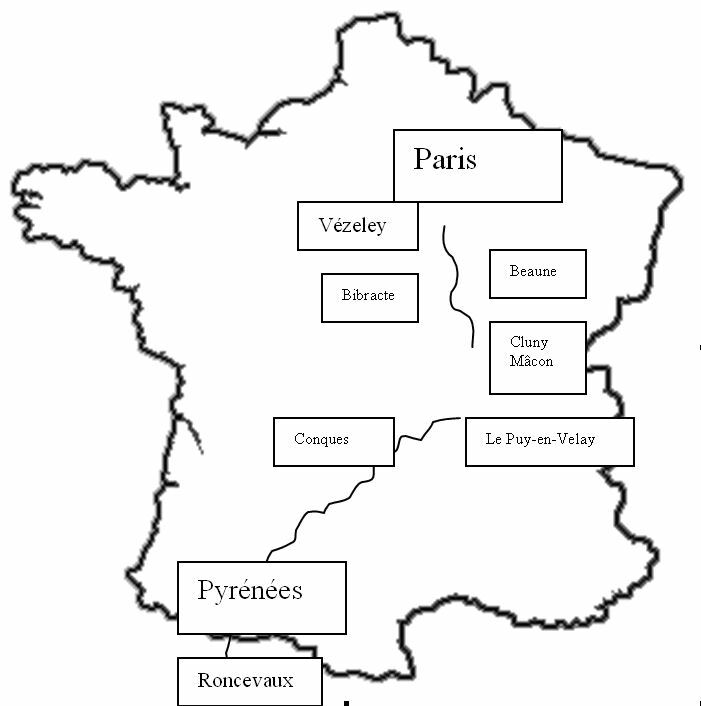 Like most loss-makers in France it was therefore financed by the government, the Burgundy Regional Council in this instance. The council’s logo, writ large, spanned the empty car we boarded. At Auxerre the two rear cars of the train would be detached. 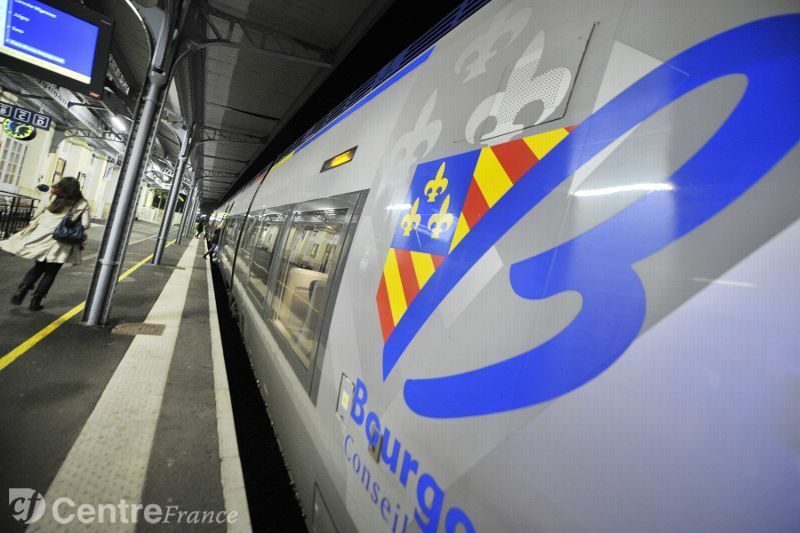 To continue to stops between Auxerre and Avallon passengers were invited to move to the two front cars. This was announced several times over the public address system, and we were reminded to time-stamp our tickets. Parisians pronounce the name “Auxerre,” a small city in northern Burgundy famed for its soccer team and light red wine, “O-sair.” Burgundians pronounce it “Oaks-airrr.” Vercingétorix would have known it as Autricum, Caesar as Autessiodurum, an important city on the highway from Lyon to Boulogne-sur-Mer, later home to Saint-Germain-l’Auxerrois. But no one could be 100 percent sure how a Celt or Roman or Saint Germain would’ve spoken. We had confirmation of the long-running linguistic confusion over Auxerre’s pronunciation as the conductor from Burgundy rolled his R’s in passing. Had we composté—time-stamped—our tickets, he asked? He checked to see that no one for Avallon was riding in the Auxerre car. “You must composter,” the conductor insisted, threatening a rider with a fine. The word sounded to me like compost, and reminded me of the origin of Compostela—the cemetery transmogrified into a field under a starry sky. Campus stellae. A pious-looking Parisian woman of advanced age showed her time-stamped ticket and asked the conductor to repeat the name of the first terminus. Like a schoolmarm she said “O-sair” several times, as if the Burgundian were a recalcitrant child or a foreigner incapable of proper speech. “There they go again,” I remarked to Alison. As dawn broke open the pewter clouds cloaking Paris, a handful of passengers stepped on board. The PA system bleated, whistles blew and the train began to roll. 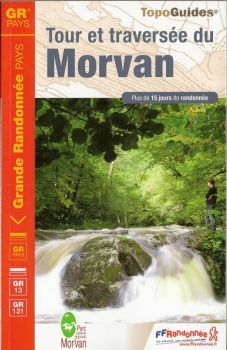 From our picnic backpack I took out an already dog-eared copy of the Topo Guide Traversée du Morvan and began re-reading the entries. This precious guidebook not only lays out and describes the various Grande Randonée GR hiking trails from Auxerre to Avallon, Vézelay, Autun and Le Creusot. It also lists B&Bs, hostels and refuges, and generally indicates where supplies can be found along this lonely, mountainous route. I had studied the entries covering our section of the trail, and had reserved lodgings accordingly. But I had not yet taken the time to read the book’s introduction. It proved concise. The author, Philippe Leroy, identified as Directeur adjoint (of what it was not clear), noted that Vercingétorix had “assembled tribes” at Bibracte, the buried Gallic city atop Mount Beuvray that we planned to reach after about ten days’ trekking. However Leroy made no mention of Vercingétorix’s flight from Bibracte to Alésia or his defeat by Julius Caesar, one of the key moments in the history of France and the Western world. The author’s proprietorial tone suggested that he himself was from the Morvan region, possibly a descendant of Vercingétorix or a local Gallic chieftain such as Dumnorix, with a considerable chip on the shoulder. This seemed a stony yet telling attitude for a guidebook writer or Directeur adjoint. The publication’s readership, meaning the purchasing public, was certain to be composed of outsiders and tourists, many of them Parisians looking for a weekend vacation spot, and, probably, foreigners either visiting or resident in France. Each would be eager to discover the Druidic beauties of this largely depopulated enclave, a magical, mountainous ancient Gallic world of woodlands, clear rivers and cold lakes, with a handful of historic sites of great antiquity and “spiritual” renown, and much more, of course. I looked up from the useful but irritating guidebook and saw that dawn’s fingers were copper, not rosy. They had wrapped themselves around bluish-black nimbus clouds and made a fitting backdrop for the freeways, housing projects, sewage treatment plants and other hard-edged features of the somber scarred zone surrounding the City of Light. Forget the remote Morvan. This was “the zone” where visitors rarely tread, a place of riots and car-burnings as common as air pollution alerts, police raids and forced deportations of illegal immigrants, most of them African and non-Christian. The pious-looking Parisian woman who’d corrected the conductor’s pronunciation of “Auxerre” had been joined since I last looked up by a clutch of other mature lady pilgrims. They carried small packs and collapsible walking sticks, and chatted and chafed like Girl Scouts eager to be off the train. Two in particular with faces like baked Granny Smiths eyed our backpacks and, I felt, restrained themselves from questioning us. Were we, too, pilgrims going to Vézelay for Easter and a day walking the Chemin de Saint Jacques de Compostelle? I took a swig of mineral water and had a very minor epiphany. The brand was San Pellegrino. Had the saint been a holy pilgrim, a true pellegrino, or was the name merely a marketing ploy? The word pellegrino means pilgrim in Italian, just as pélerin does in French. They descend, as everyone knows, from the Latin peregrinus which hatched a species of falcon, and, in pre-Christian times meant a traveler in foreign lands and not a religious pilgrim. That’s what I was: a tumbleweed traveler in foreign lands. Without my reference books or access to Google I had no way to find out more about San Pellegrino. No instant information-gratification was available. This would be the first time that I’d be away from my computer—and my lifeline email—for months at a time. In my heart I kept saying ‘Let it be now, let it be now!”, and merely by saying this I was on the point of making the resolution. I handed over the book. In his twenties, the man had the square-jawed looks and bronzed, closely shaved skin of a Boy Scout leader, a nature-lover and inveterate hiker. As he flipped through the guidebook his lips moved. 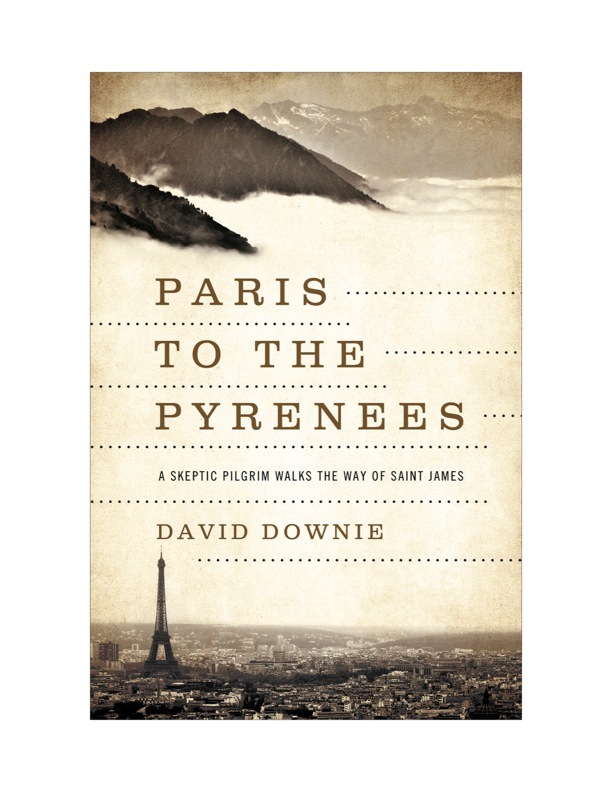 He remarked that his path would cross ours at several points high in the Morvan Mountains. I answered that we would be averaging 15 to 20 kilometers a day, and would take 10 days to cross the Morvan from north to south before continuing another 150 kilometers south to the abbey of Cluny then Mâcon. From there we’d head south by southwest to Le Puy en Velay on the Massif Central. Pleased with himself he ran his finger over the map and turned to gauge our backpacks. I could see in the movement of his pupils and the curl of his thin lips the satisfaction he was deriving from knowing his pack was heavier than ours. And I remembered a lesson learned in the early 1970s when I was a cross-country runner, a top-tenth-percentile runner who always came in a brilliant 980th in a field of 10,000. The lesson was, no matter how far and how fast you run someone will always run farther and faster. Metaphorically this seemed to apply to many aspects of life physical, professional and otherwise. So you might as well get used to being 980th, I reminded myself again. Do the best you can, and don’t worry about the others in front or behind or across the train car from you, though you might be sorely tempted to strangle them. Luckily Alison, entranced by the view or lost in thought, had missed our little hormone-guided exchange. It pained me to think that as middle age encroached I was unwittingly becoming the old lion and would encounter prides of impertinent youngsters in the years to come.